Presidency Public School, Meerut was founded in 2002 under Krishna Educational Society. The School is situated at Shatabdi Nagar on the Delhi-Meerut National Highway (NH-58). The green environments of the school provide much needed peace and quietude for meaningful learning experience for the children. Over the past fifteen years the school has succeeded in enrolling students from Pre-Primary to Senior Secondary level. It is a co-educational Sr, Secondary School with English as a medium of instruction and is affiliated to C.B.S.E., New Delhi. The school provides facilities of a well stocked Library, Computer, Maths & Science Labs, a Play Ground, Pure Drinking Water and Playroom for Tiny tots. The school has wide range of co-curricular activities such as music, dance, art & craft, games, karate, yoga etc. Other services like medical facilities and transport are also available for the convenience of the students. The school lays emphasis on wholesome activities and quality education. Discipline and Character building are given highest priority. The is proud of its team of well qualified, experienced and dedicated teachers. 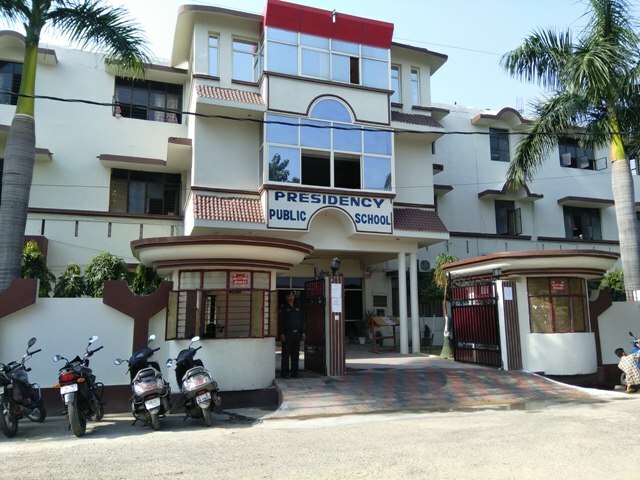 Presidency College of Education Technology, the sister concern of Presidency Public School, was established in the year 2008. Now it is flourishing well with 200 seats in B.Ed. department. Besides, BCA, BBA, B.Sc. (Home Science), B.A./B.Com. and N.T.T. Courses are also running from 2011. Further, various courses are also in the pipe line.